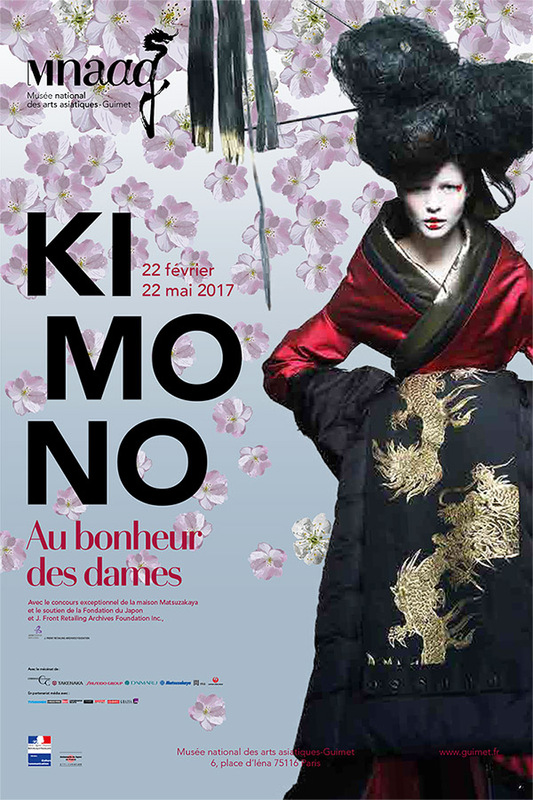 The exhibition will outline the evolution of the kimono and its accessories to elucidate their reinterpretation in contemporary Japanese and French fashion. 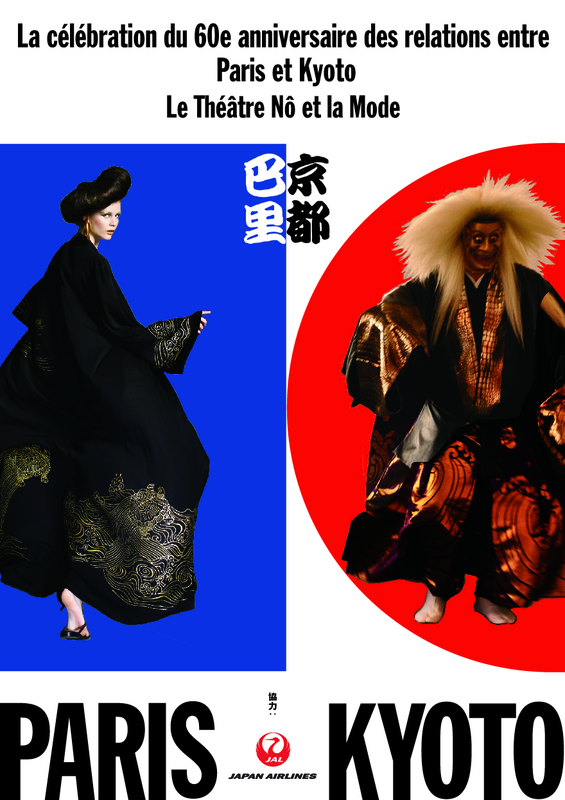 For the first time articles from the Matsuzakaya collection will be shown outside of Japan. Founded in 1611, the celebrated firm played a major role in producing and diffusing the kimono, especially within the military nobility, Some 150 highly prestigious pieces tell the story of the evolution of this essential garment in the Japanese wardrobe from the Edo Period (1603-1868) up to the contemporary period. Japanese fashion designers, like Issey Miyake, Kenzo Takada, and Junko Koshima constantly sought their inspiration in this emblematic and universal garment that sublimates Western haute couture today. First worn as an under-garment by the aristocracy before being adopted by the Samurai class as outer clothing, the kimono soon became a normal outfit for every class of the population. 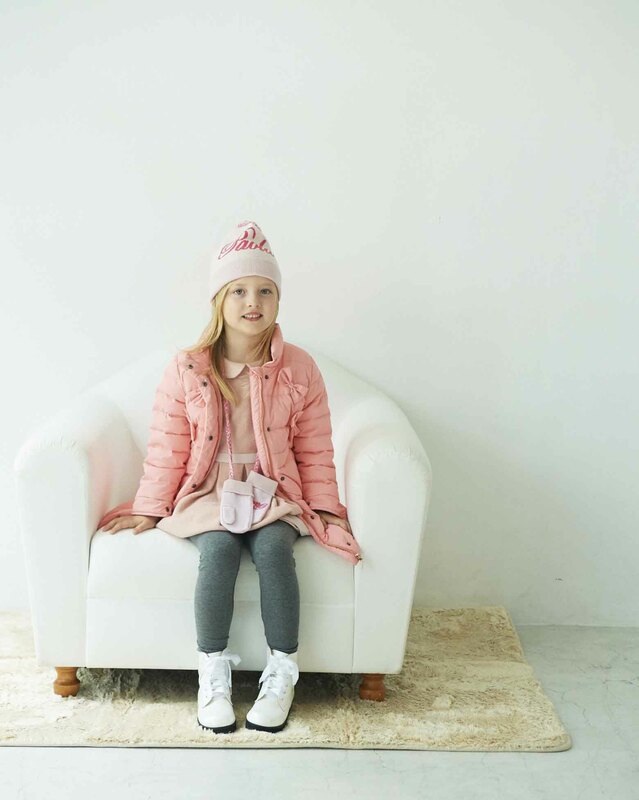 Originally called “kosode”, it is the Japanese clothing par excellence. Visually intense and laden with meaning – it attained its decorative apogee before the mid-18th century -, the kimono stimulated a highly creative textile industry whose techniques combine complexity and patience: textiles knotted and carefully resist-dyed, precious fabrics with complex weaves and gold thread; wedding kimonos, young girls’ kimonos, etc… It was not until the mid-19th century that it was worn in France by women of fashion as a dressing gown when Japanism gave rise to the Impressionist artistic trend referring to the Land of the Rising Sun. 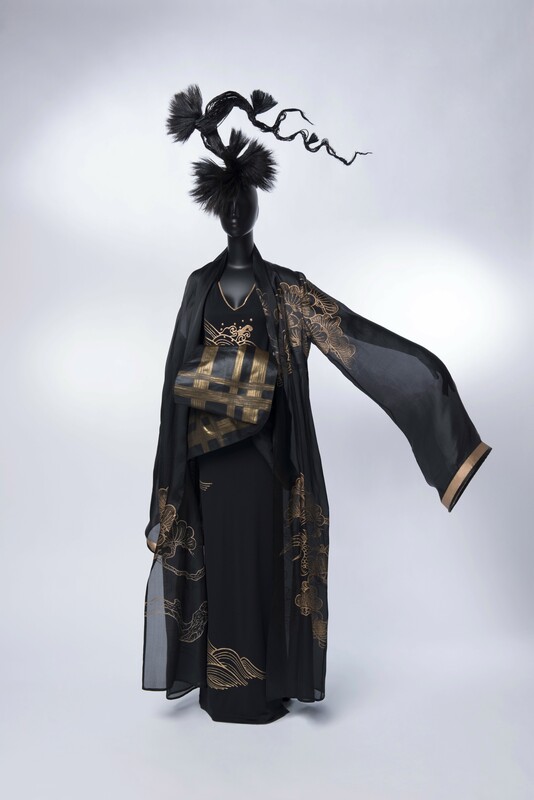 At the turn of the 20th century the French haute couture adopted the kimono, and the same inspiration can be found in fashion designers like Paul Poiret (1879-1944) or Madeleine Vionnet (1876-1975), whose floating creations with flowing sleeves borrowed the kimono’s ample conceptions. 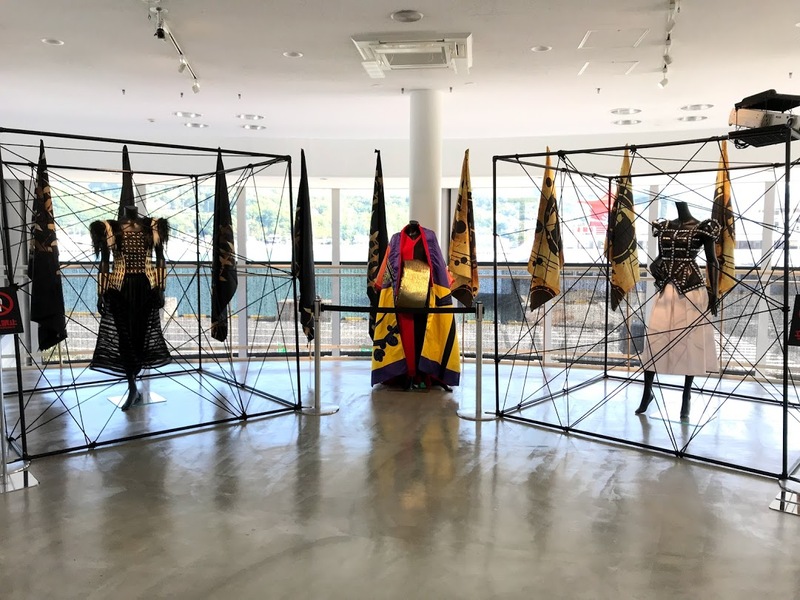 Today many Japanese fashion designers like Yohji Yamamoto claim its influence, as well as Yves Saint Laurent, Jean Paul Gaultier, John Galliano, or Franck Sorbier, who draw their inspiration from Japan by reinterpreting the structural codes of the kimono, granting it a preeminent role on the artistic scene. 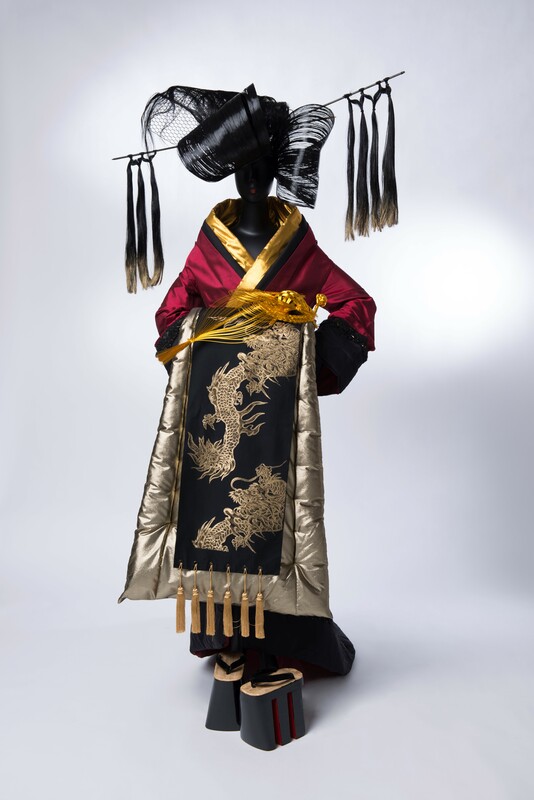 Particularly fragile works, the exceptional antique kimonos of the Matsuzakaya firm will all be replaced in the course of the exhibition early in April. 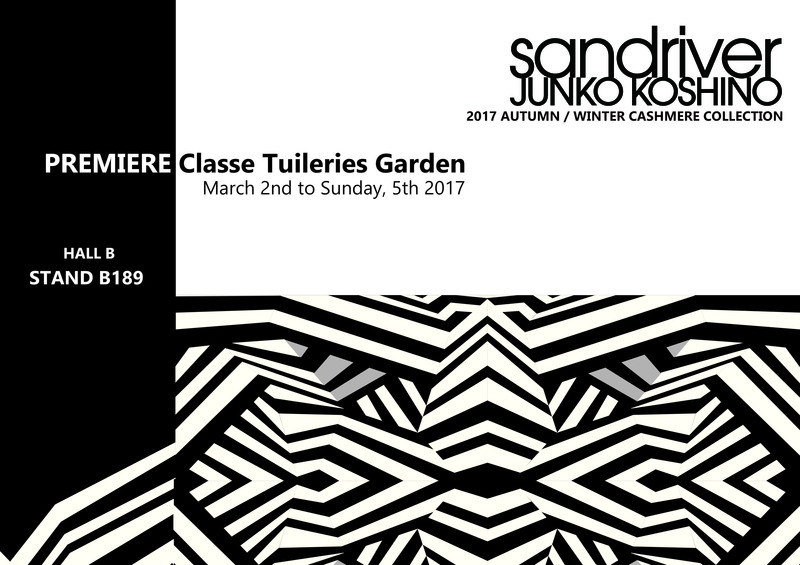 Copyright © JUNKO KOSHINO inc. All Rights Reserved.